Please read this legal information carefully. This web site and its contents (‘Web Site’) are owned and operated by Peter Bushby Real Estate – Launceston. The use of this Web Site is governed by the following terms and conditions, as amended from time to time (the ‘Terms and Conditions’). These Terms and Conditions apply in favour of, and are enforceable by, Peter Bushby Real Estate – Launceston. Unless otherwise indicated, the copyright in the Web Site is owned by Peter Bushby Real Estate – Launceston. The Web Site includes registered and unregistered trade marks that are owned by Peter Bushby Real Estate – Launceston. Except for the direct purpose of viewing, printing, accessing or interacting with the Web Site for your own personal use or as otherwise indicated on the Web Site or these Terms and Conditions, you must not reproduce, modify, communicate to the public, adapt, transfer, distribute or store any of the contents of the Web Site, or incorporate any part of the Web Site into another web site without Peter Bushby Real Estate – Launceston consent. Peter Bushby Real Estate – Launceston assumes no responsibility for the condition or content of third party web sites that may be linked to or accessed from the Web Site. Peter Bushby Real Estate – Launceston excludes all liability for any loss, damage, claim, expense, cost (including legal costs) or liability whatsoever arising from or referable to the condition or content of third party web sites that may be linked to or accessed from the Web Site. Peter Bushby Real Estate – Launceston may collect, use and disclose personal information about you obtained by Peter Bushby Real Estate – Launceston from your use of the Web Site. Peter Bushby Real Estate – Launceston management of this information is governed by the Privacy Statement. Disclaimer and Limitation of Liability The Web Site and its entire contents are provided on an “as is” basis. 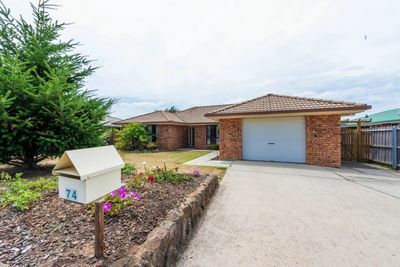 Peter Bushby Real Estate – Launceston does not warrant the completeness, accuracy, reliability or availability of the Web Site or its contents. All information is subject to change without notice. Subject to any responsibilities implied by law and that cannot be excluded, Peter Bushby Real Estate – Launceston excludes all liability for any loss, damage, claim, expense, cost (including legal costs) or liability whatsoever arising from or referable to the Web Site whether in contract, tort including negligence, statute or otherwise. Any term, condition, representation or warranty implied into these Terms and Conditions by law or otherwise, and which cannot be excluded, is included in these Terms and Conditions. Liability of any member of Peter Bushby Real Estate – Launceston for a breach of a condition or warranty implied into these Terms and Conditions by law or otherwise, and which cannot be excluded, is limited to the extent possible, at that member’s option, to the supplying of the relevant goods or services again or the payment of the cost of having the goods or services supplied again. Peter Bushby Real Estate – Launceston reserves the right to revise the content of, amend links from, or withdraw access to the Web Site at any time without notice or liability to you. Your ability to access the Web Site or to participate in any features of the Web Site, including Best Investor, may be terminated at any time without notice, and without any liability to you. Any limitations on Peter Bushby Real Estate – Launceston liability will survive such termination. A right relating to these Terms and Conditions may only be waived by Peter Bushby Real Estate – Launceston in writing. These Terms and Conditions are governed by and construed in accordance with the laws of New South Wales, Australia. By using the Web Site you irrevocably and unconditionally submit to the non-exclusive jurisdiction of the courts of New South Wales. If any provision of these Terms and Conditions are found to be invalid or unenforceable by a Court of Law, such invalidity or unenforceability will not affect the remaining provisions, which will continue in full force and effect. 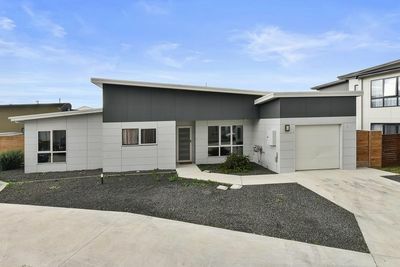 Peter Bushby Real Estate – Launceston failure to exercise or enforce any rights or any provision of these Terms and Conditions will not constitute a waiver of such right or provision unless acknowledged and agreed to by Peter Bushby Real Estate – Launceston in writing.